eD@HoMe: My first cover from Argentina! Late last year, I received this registered letter from Buenos Aires, Argentina sent by an eBayer. 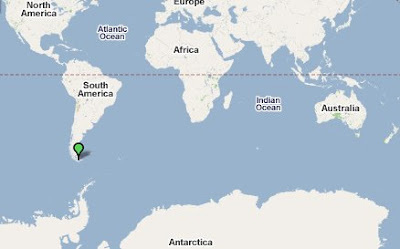 It is my first cover from this South American country! 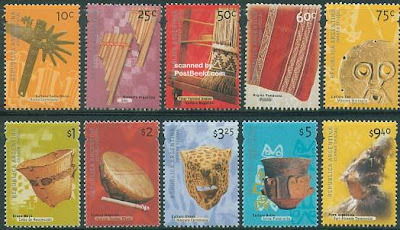 The two 25c stamps franked on this cover are part of 10 definitive stamps from the "Culture" series, issued in 2000. Next, we have 2 stamps from the "Grocery Stores and Country General Stores" series. They were issued on 10th September 2005. 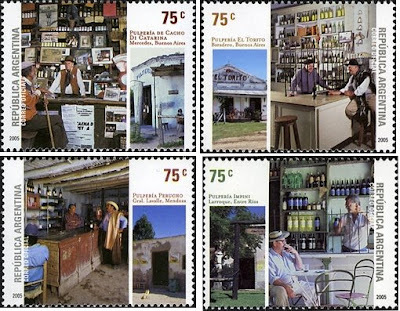 The stamps in the set depict Pulperia de Cacho Di Catarina, Pulperia 'El Torito', Pulperia 'Perucho', and Pulperia 'Impini'. 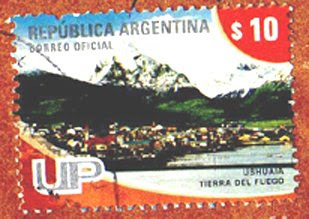 The stamp on the top right corner depicts Ushuaia, the capital of the Argentine province of Tierra del Fuego and the southernmost city in the world. 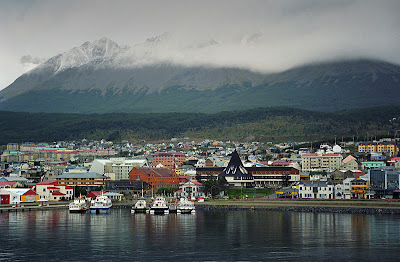 Ushuaia is the gateway to the Antarctica, which is only 1,000 km away from the South Pole. 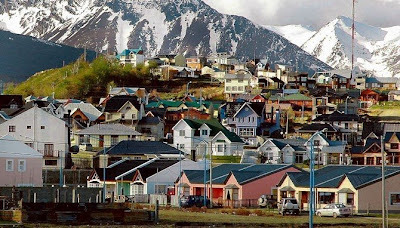 A lot of people from all over the world start off their tour of Antarctica from this town. And, since the town is designated as a free port, there are lots of duty free shops bustling with tourists. 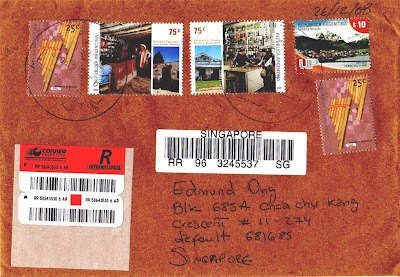 This cover traveled an estimated distance of 15,890km and took 21 days to reach me!